The U.S. federal government taxes personal income using a graduated scale. Tax rates began at 10 percent and gradually increased to 15 percent, then 25 percent, 28 percent, 33 percent, 35 percent and finally a top rate of 39.6 percent in 2014. Each tax rate applies to a specific range of income called a tax bracket. Where each bracket begins and ends depends on a taxpayer’s filing status. Tax rates can also vary depending on the type of income. Ordinary tax rates apply to most sources of income, but a special tax rate schedule applies to long-term capital gains and qualified dividends. The chart below shows ordinary tax rates in the first column and the rate for long-term gains and qualified dividends in the second column. The remaining columns show the beginning and end of each tax bracket grouped by filing status. These dollar amounts represent your taxable income— what’s left after various deductions and tax credits have been subtracted. Tax rate charts can also be separated out by filing status. This chart lays out the mechanics for calculating federal income tax for a single individual. Over But not over Taxable income Multiplication amount Multiply (a) by (b) Subtraction amount Subtract (d) from (c). This is the federal income tax. We start by figuring out the individual's taxable income, then use the first two columns to determine in which range this taxable income falls. We then work across the row from left to right when we find the relevant row. Write in the amount of taxable income in column (a), then perform the multiplication in column (c) and finally make a subtraction in column (e). The resulting number in column (e) is the amount of federal income tax liability on the amount of taxable income shown in column (a). Desmond will owe $21,175.75 in federal income tax on taxable income of $100,000. His taxable income falls in the 28-percent tax bracket. His income over $89,350 is taxed at the rate of 28 percent. The rest of his income is taxed at the lower rates of 10, 15 and 25 percent. Desmond's effective or average tax rate is his tax liability divided by his taxable income, or 21,175.75 divided by 100,000: 21.17575 percent. This effective tax rate is a blend of all the tax rates that applied to his income. These charts only display ordinary income tax rates. By using this chart or similar charts that can be found in IRS Publication 505, we assume that all the taxpayer’s income is subject to ordinary tax rates. Use Worksheet 2-7 in combination with Worksheet 1-6 to calculate the tax if you have long-term capital gains or qualified dividends. Additional Medicare tax at a rate of 0.9 percent on wages and self-employment income over $250,000 if you’re married and filing jointly, $125,000 if you’re married and filing separately, or $200,000 if you file as single, head of household, or qualifying widow(er). The alternative minimum tax (AMT) is 26 percent of taxable income under $91,250 as recalculated under the AMT rules, or 28 percent on taxable income over $91,250 if you’re married and filing separately. All other taxpayers pay 26 percent on AMT taxable income under $182,500 or 28 percent of AMT taxable income over $182,500. Net investment income is taxed at a rate a rate of 3.8 percent on the lower of net investment income or modified adjusted gross income over the following thresholds: $250,000 for qualifying widow(ers) and those filing joint married returns, $200,000 for single filers and those filing as head of household, and $125,000 for married individuals who file separate returns. Capital gains tax rates vary depending on whether the gains are short-term or long-term. Short-term gains are taxed at ordinary income tax rates. Long-term gains and qualified dividends are taxed at the following rates: zero percent if taxable income falls in the 10 or 15 percent tax brackets, 15 percent if taxable income falls in the 25, 28, 33 or 35 percent tax brackets, 20 percent if taxable income falls in the 39.6 marginal tax bracket, 25 percent on depreciation recapture, 28 percent on collectibles, and 28 percent of qualified small business stock after exclusion. 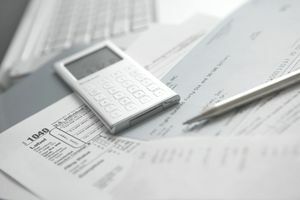 Individuals can use these tax rate schedules in a number of ways to help plan their finances. You can figure out how much tax you will pay on the extra income you earn. If you’re in the 25-percent tax bracket, your extra income will be taxed at that rate until it reaches the next tax bracket range of 28 percent. You can also use these tax rates to figure out how much you'll save by increasing your deductions. A taxpayer in the 28-percent tax bracket will save 28 cents in federal tax for every dollar spent on a tax-deductible expense such as mortgage interest or charity. Remember that different intervals of income are taxed at different rates and the income intervals at which the rates apply are based on your filing status. A taxpayer who earns $48,600 a year and files as head of the household year would be taxed at the 10 percent rate on his first $12,950 of taxable income and at 15 percent on taxable income between $12,950 and $48,600. A head of household filer earning $200,000 a year would fall within the 28-percent tax bracket although some of his income is taxed at 10 percent, 15 percent, and 25-percent. Marginal tax rates interact with other tax rates, particularly the alternative minimum tax which can push income to a higher tax rate or eliminate the tax savings of certain types of deductions. The official tax brackets for 2014 were published by the Internal Revenue Service in Revenue Procedure 2013-35.